In a fascinating video interview, celebrated Israeli historian and dissident intellectual Ilan Pappe talks to author and film-maker Frank Barat about the latest developments in the conflict, including the Palestine Papers, the Arab Spring and the way forward. "It is now time for everyone", Barat writes in his introduction "to re-frame the questions"
The Israeli-Palestinian conflict is one the most talked-about topics in the world, and has been so for decades. Millions of hours of news reports, TV programmes, documentaries and feature films on the subject have been made and broadcast but, interestingly, even today, most people are not sure about the roots of the conflict and why, after so many years, peace has not been achieved yet. As such, most people see this conflict as incredibly complex and simply unsolvable. And yet, the reality is completely different. Ilan Pappe has, for many years, fought on all fronts to explain this to the general public. He was one of the first “New Historians” to go through the archives of the Israeli State and re-write the narrative of the conflict. 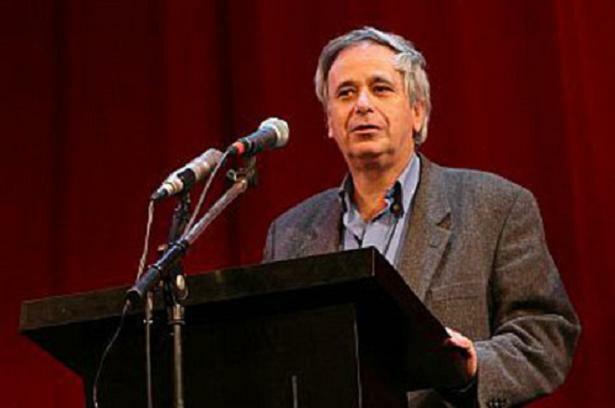 Ilan Pappe, step by step, carefully distroyed and dismantled the prevalent, official Zionist narrative and tried to re-establish the truth about the 1948 Nakba and the Ethnic Cleansing that took place in Palestine. And he paid a very heavy prize for this too. Completely abandonned by Israeli academia and virulently attacked by the Israeli press, government and zionist extremists, professor Pappe had to leave Israel in 2007 to come teach in England. Another dissenter having to go into exile for his views. I met Ilan three weeks ago, during a conference at SOAS, and asked him very simple questions. His answers were, as usual, striking and illuminating. The Israel-Palestine conflict is about “Settler colonialism”, and “Israel is not a democracy” were, for me, two of his most important insights. It is now time for everyone, to re-frame the Palestine question. The future of the Palestinian people, and the entire region, depends on it. Frank Barat is coordinator of the Russell Tribunal on Palestine. “Gaza in Crisis: Reflections on Israel’s War Against the Palestinians” his book with Noam Chomsky and Ilan Pappe, is out now. « Previous: Beautiful Transgressions Who Cares? A compassionate and intelligent Israeli!!! Now I have seen it all! Thanks you for this superb interview.